ACENTA offers the most comprehensive ENT, Allergy, Hearing Aid, and Hearing & Balance services in the Northwest Arkansas (Including Fort Smith, Van Buren, Alma, Fayetteville, Rogers Arkansas) and Eastern Oklahoma region. His peers have chosen Dr. Marsh as one of the Best ENT doctors in America. Dr. Marsh and staff provide state-of-the-art healthcare services that are responsive to the individual needs of each patient. We offer appointment times that are as flexible as possible to accommodate our patients’ busy schedules. We accept most major insurances. Our office is open Monday through Friday from 8 AM to 5 PM. Dr. Marsh is the only fellowship trained Otologist-Neurotologist (Ear Specialist) in the western half of Arkansas. He has fellowship training in otology/neurotology (treatment of rare and difficult to treat ear diseases). With numerous publications in his resume, he has recently completed a chapter “Extended Lateral Skull Base Surgery” for the 2014 6th edition of Cummings Otolaryngology Head and Neck Surgery, the textbook other ENT doctors go to for reference. In addition to providing the first cochlear implant program and skull base program (treatment of acoustic neuromas and other tumors involving the skull base) to our region two decades ago, Dr. Marsh he continued to provide firsts for our area. Advanced ear surgeries with the region’s only fellowship trained Ear specialist. Sophisticated diagnostic hearing testing, advanced digital hearing aid fitting, tinnitus evaluation, and a cochlear implant program (including evaluation, implantation and audiological programming and follow-up care). Comprehensive testing and treatment for dizziness and balance disorders. A complete line of hearing aids and assistive listening devices. Hearing aid repairs and supplies, including swim plugs and noise protection. Balloon Sinus Dilation or Balloon Sinuplasty: Do you suffer from chronic and recurrent sinusitis? This new, minimally invasive procedure can expand sinus opening and drainage pathways to aid drainage and promote healing. Click here to learn more about this new technology. 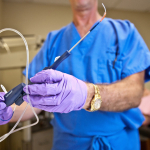 Click on the logos below to watch videos about these procedures. Sublingual Immunotherapy (SLIT): Instead of painful allergy shots and weekly office visits, you can now get long-term allergy relief simply by putting a few drops under your tongue three times a day. This safe and effective treatment are now available at ACENTA. 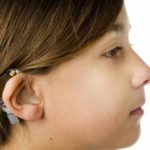 Cochlear Implant: A cochlear implant is an electronic device that essentially replaces the cochlea, the inner ear or organ of hearing, by performing the task of the damaged or absent inner ear hair cells, which is to convert sound stimuli into electrical stimuli to nerve fibers in the cochlea. ACENTA provides one of the top cochlear implant programs in Arkansas. 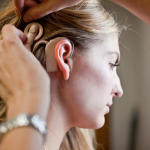 Click here to learn more about our cochlear implant program. 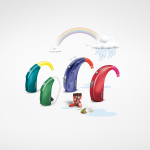 Hearing Aids: At ACENTA, our audiologists offer an exceptionally wide range of hearing aids to meet individual needs, from very basic technology to the most advanced digital solutions. These options sweep the full price range from the most economical – even reconditioned – to the top of the line premium instruments.